So I’ll admit it: I feel guilty. 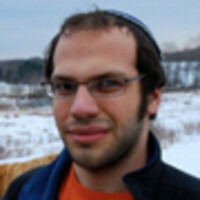 On Friday, Armin Rosen, over at the Atlantic, accused Open Zion of legitimizing anti-Semitism, because we published an article by Mondoweiss staff-writer Alex Kane. Rosen found nothing prejudiced in the piece, an assessment of Israel boycotts’ effectiveness. Rather, he argued that Mondoweiss “often gives the appearance of an anti-Semitic enterprise,” and that by “carrying a byline from Mondoweiss,” we dragged “its sordid baggage” into the mainstream. I think Rosen exaggerates Mondoweiss’s sins, but there’s certainly plenty there to cringe at (as I have said before). This isn’t the place for a full examination of the strange nexus of Phil Weiss’s supposedly universalistic anti-Zionism and creepily mystical nativism. Suffice it to say that, though Robert Wright’s defense of us (in which he disputed Rosen’s claim that Mondoweiss is anti-Semitic) was welcome, it didn’t completely relieve our anxieties. We get it. We’re wary of Mondoweiss. But here’s the catch—Rosen’s late. Where was he earlier last week, when we ran an article by Christians United For Israel’s David Brog? Or doesn’t Rosen know that Pastor John Hagee, the founder and leader of CUFI, has blamed anti-Semitism on Jewish “disobedience and rebellion” against God, Hurricane Katrina on a planned “homosexual parade,” and Adolf Hitler on Catholicism? Where was his outrage when we dragged that “sordid baggage” into the conversation? What about when we featured Likud MK Danny Danon, who has himself called African immigrants in Israel “a national plague”? “Some ideas have earned their banishment from civilized discourse,” begins Rosen’s article. But only, it seems, when they come from lefties. “Civilized discourse” on the Israeli-Palestinian conflict sounds high-minded, but if it means an echo chamber, it’s dangerous stuff. We asked Alex Kane about BDS because Alex Kane writes about BDS, and he knows it well. We didn’t ask for a normative argument about the morality of the conflict. We just wanted to hear the dry, descriptive case that BDS, for better or worse, is gaining ground. In fact, Kane’s first piece (which Rosen missed) responded to Jon Haber, arguing that BDS has had a “ten-year losing streak.” Frankly, on this one I agree with Jon (who runs a blog called "divest this!" dedicated to fighting BDS). But if we didn’t look for the best articulation of the other side, Open Zion wouldn’t be doing its job. And I suspect Rosen knows this. It’s why we asked David Brog to explain why American Jews shouldn’t fear Christian Zionism, even though CUFI gives me the willies. I’ve been losing sleep over Open Zion contributors—to my left and right—since the beginning. And just in case this isn’t clear: Anti-Semitism scares us, which is why we write about it a lot. But I hope we keep running pieces from the extremes. Because I’ll lose a lot more sleep the day we pass on a smart argument because the writer has lousy friends.